I get questions like this almost every other day. How am I able to stay away from cakes, chocolate or even yoghurt? How do I have enough strength to resist temptation? For a lot of beginners, it is an issue, that the temptation is everywhere, a bit of yoghurt, cookies, or just some pasta, and before they realize, they are back on their old diet. After this comes huge feeling of guilt, disappointment, and eventually giving up. Many people give up the diet early, because in the beginning hunger attacks them in huge waves. You crave for sweets and bakery goods, and everything, that is not paleo. Those, who are not strong enough in the beginning, will easily end up giving up the whole diet. 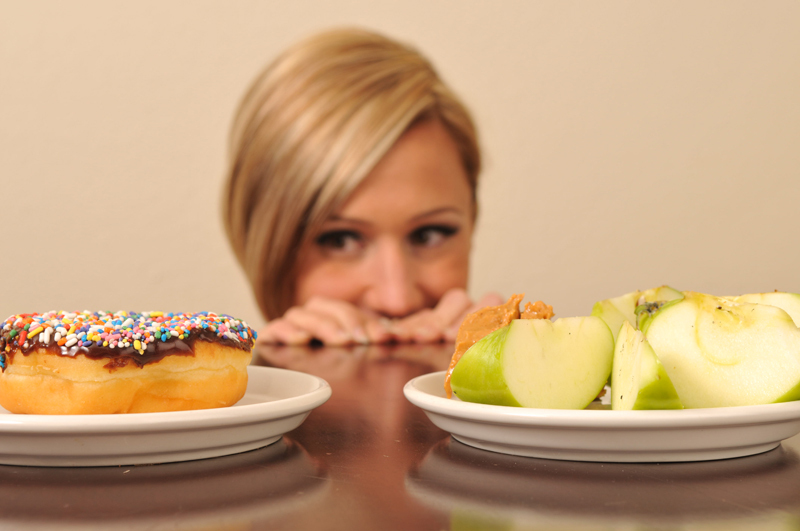 The truth is that like every other diet, paleo requires willpower too! I’m writing this to let you know, we all go through the same things you are going through. You cannot give up! If you can only hold on to the diet for the third try, then give it a third shot too! At least You are trying! When we try to get rid of the sweets and bakery goods and other unhealthy foods, it’s like taking away a child’s favorite plaything. Just imagine the situation! The child is crying, screaming, making a scene, and maybe even throws itself to the ground, but eventually it will cope. That is how our system reacts to the withdrawals too. It rebels, you will experience hunger-waves, because your blood sugar level goes up and down, and not the way it got used to. But after a while (2-3 weeks, a month tops) it will calm down, and slowly your bloodsugar level will be more even, your huge hunger will pass, and so will your cravings for sweets. You will notice that you want to eat a bit of vegetables, you could eat up a kilo apples, or even a slice of tasty meat. At this point you will start to lose weight, pain and your illnesses’ symptoms will cease and maybe even completely disappear, and this will give you enough strength to go on with the paleo diet. How did I manage to fight the hunger? It’s no big secret really, my fridge was stuffed with fruit salad, carrots and apples. I always kept already cooked or fried meat and vegetables at home. I always took sugar free chewing gum and sugar free hard candy with me when I went out. So whenever I wanted to eat some sweets, I ate fruits and vegetables until the craving was gone. And if the craving found me when I was still on my way to somewhere, then I ate a chewing gum or some candy, and when I got back home, I ate a bit of meat with salad, or a paleo cupcakes or some paleo smoothies.